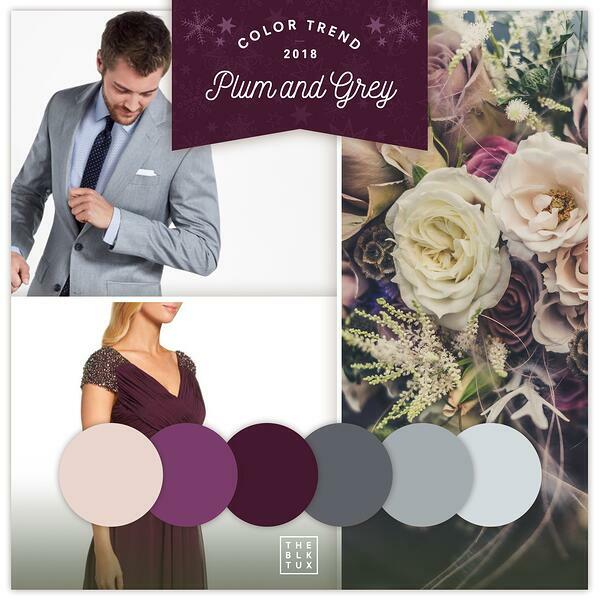 From the shift from rose gold to copper to the use of velvet and purple hues, 2018 is going to be a year of different textures and unique additions to wedding decor and attire. With the wedding season quickly approaching, we have put together our top predictions for wedding trends this year. From bow ties and suits to table runners and shoes, velvet is predicted to make a huge entrance in wedding decor and attire this year. Not only does velvet add a unique texture into the mix, it is also an unexpected touch that is equal parts feminine and masculine. Due to it's heavier weight, it is the perfect addition to winter weddings. Say goodbye to ordinary centerpieces and hello to hanging flowers! 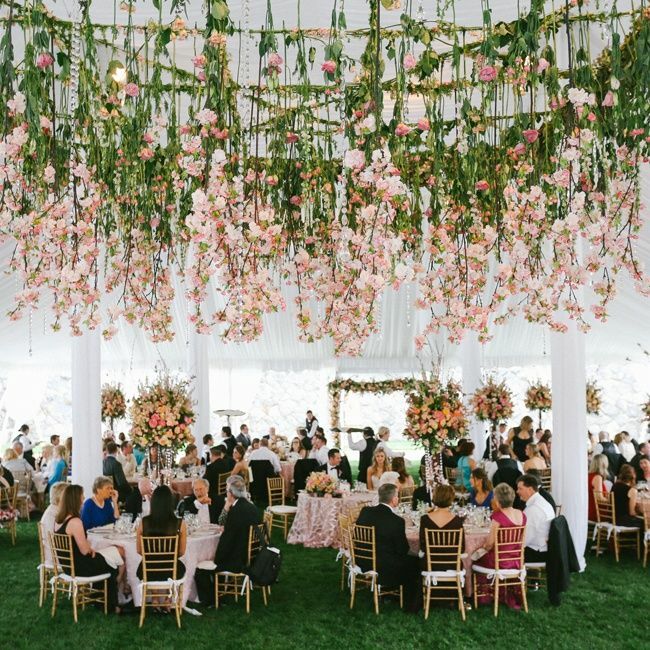 Many couples this year will be suspending their flowers above tables or along the aisle for something unique. Not only does this naturally draw the eye upwards, it also showcases the venue and creates extra space on tables. Because the flowers will be at a further distance away from people, artificial flowers will give the same effect as real flowers. This is a great money saving solution for couples who don't normally like the look of artificial flowers up close. Rose gold has been the popular metallic for the past few years, however, this year we will see couples opting for copper. Contrasting well with jewel tones, copper adds a unique twist and more depth to an otherwise ordinary color palette. We will be seeing copper in everything from napkin rings to jewelry in 2018. Pantone named 'Ultra Violet' the Color Of The Year which means we will be seeing purple at many weddings in the next coming months. For winter, a darker plum will most likely be used and in the spring and summer we will see a shade more closely resembling Ultra Violet. The Black Tux supports the prediction that purple will play a huge roll in wedding colors this year. The Black Tux predicts purple will be a popular color in 2018. As traditional enclosed photo booths are dying down, open air photo booths are on the rise. Not only are open-air photo booths great because they can fit everyone in the photos, our models can fit seamlessly into any event decor. 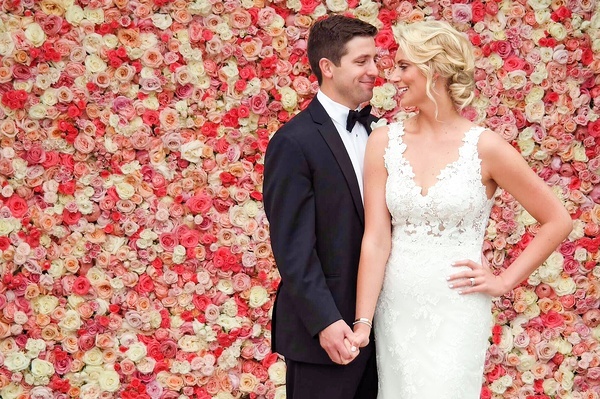 From animated overlays and green screens to personalized borders and props, TapSnap can help make your wedding one to remember. Our photo booths can also be customized to match your wedding colors; who wouldn't love a purple photo booth? If you're interested in adding a photo booth to your big day, you can find out more about TapSnap for weddings on our how it works page, or you can check your date below!